Excitement is in the air. 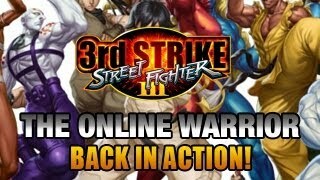 Maximilian has returned to Street Fighter III: 3rd Strike for the 37th episode of the "Online Warrior." Maximilian has fired up his Xbox 360 to play Street Fighter III: 3rd Strike once again. Episode 37 of the 3rd Strike version of the "Online Warrior" sees Max using Ken to climb the ranked ladder.